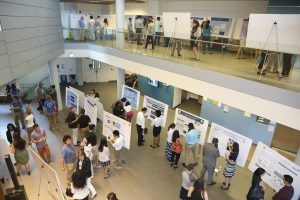 The Division of Science announces the opening of the Division of Science Summer Undergraduate Research Fellowship competition for Brandeis students who will be doing undergraduate research in Summer 2019. These fellowships are funded by generous alumni donations and by grants. Winners will get $5000 stipends for the summer. Some funding programs have changed since last year; please see the Div Sci website for details of the programs which fund students across all the sciences. We expect to fund about 30 students this summer. The due date for applications is February 27, 2019 at 6:00 PM EST. Students who will be rising Brandeis sophomores, juniors, or seniors in Summer 2019 (classes of ’20, ’21 and ’22), who in addition are working in a lab in the Division of Science at the time of application, are eligible to apply. A commitment from a Brandeis faculty member to serve as your mentor in Summer 2019 is required. The Division of Science Summer Program will run from June 3 – Aug 9, 2019. Recipients are expected to be available to do full time laboratory research during that period, and must commit to presenting a poster at the final poster session (SciFest IX) on Aug 8, 2019. Interested students should apply online (Brandeis login required). Questions that are not answered in the online FAQs may be addressed to Steven Karel <divsci at brandeis.edu>.